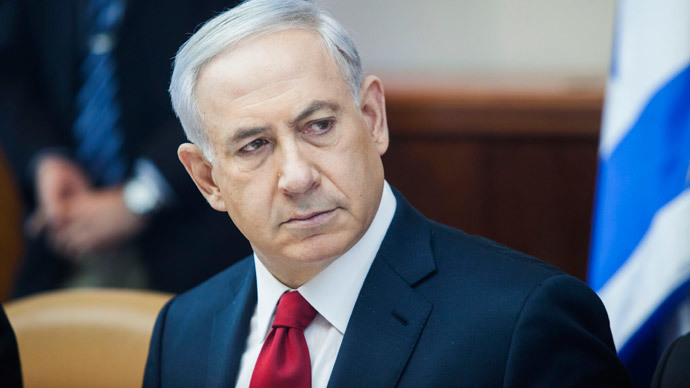 Israel will not permit its soldiers to appear before the International Criminal Court (ICC) on potential war crimes charges, Prime Minister Benjamin Netanyahu said Sunday. His comments came two days after Palestine applied to become a party to the court. "We will not let Israel Defence Forces (IDF) soldiers and officers be dragged to the International Criminal Court in The Hague," Netanyahu said at the start of the weekly Cabinet meeting, AFP reported. The Palestinianmoveto join the ICC on Friday was followed by Israel’s punitive measure of freezing the transfer of half a billion shekels ($127 million) in tax revenues to the Palestinian Authority. "The Palestinian Authority has chosen to take a path of confrontation with Israel, and we will not sit idly by," Netanyahu said. "IDF soldiers will continue to defend Israel with determination and strength – and as they defend us, we will defend them, with the same determination and the same strength." According to ICC sources, the Palestinian Authority wants the court to investigate war crimes committed in the Palestinian territories since June 13, 2014. It includes the 50-day Operation Protective Edge that took lives of over 2,200 civilians, most of them Gazans. Netanyahu said it was the Palestinian leadership that should be taken to the ICC – for signing a 2014 reconciliation agreement with the Hamas movement that Israel considers to be a terrorist organization. "Those who should face justice are the heads of the Palestinian Authority who signed a covenant with the war criminals of Hamas,"he said. Netanyahu also urged the ICC not to grant membership to the Palestinian Authority "because it is not a state." Last June, a national consensus government was established by the Palestinian Authority in Ramallah and the Hamas-led government in Gaza. Israel’s monthly payments to the Palestinian Authority account for tens of millions of dollars in customs duties for goods, transferred to Palestinian markets via Israeli ports. They comprise two-thirds of the Palestinian Authority's annual budget, without foreign aid. The International Criminal Court is a tribunal with the jurisdiction to prosecute individuals for the international crimes of genocide, crimes against humanity and war crimes, committed since July 1, 2002, when the ICC’s Rome Statute treaty came into force.